As the region shivered through the cold weekend weather, and forecasters warned of sub zero temperatures and heavy snow, winter tightened its grip on the region. 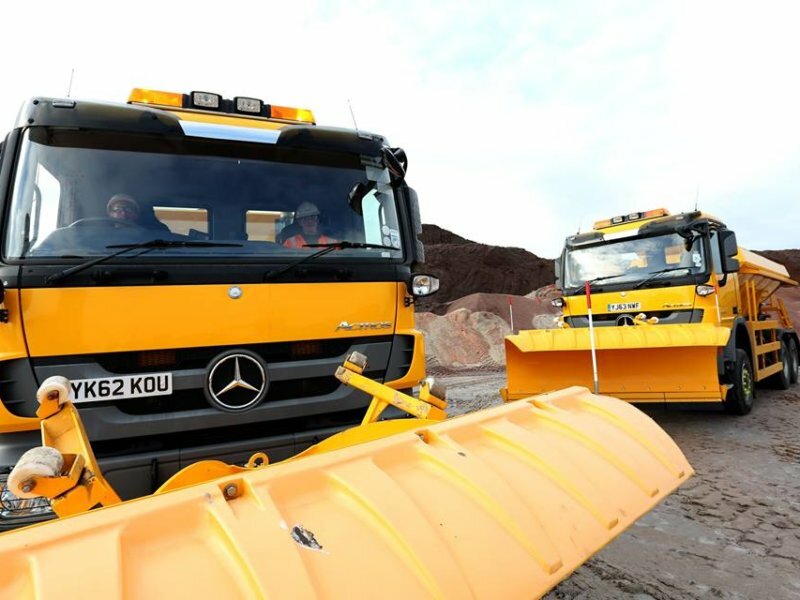 This meant that the ICL Boulby mine in east Cleveland had to make sure there are sufficient supplies of rock salt to spread on our roads to keep them open and make driving safer. The mine is one of the largest suppliers of the de-icing agent in the country. It is earmarked for local authorities and Highways Contractors across the UK. Already their lorries have been loading up to ensure there are sufficient stocks on hand to keep the traffic moving this winter – whatever the weather. It is always a challenge to keep open major routes such as the A1(M), the A19 and the A66 trans-pennine route in this area alone, while there are tricky obstacles like Birk Brow, Sutton and Lythe Banks and the approach roads into Whitby. They all need rock salt to keep them open to traffic.